Laos is another Southeast Asian country that is bordered by Vietnam, China, Burma, Thailand and Cambodia. 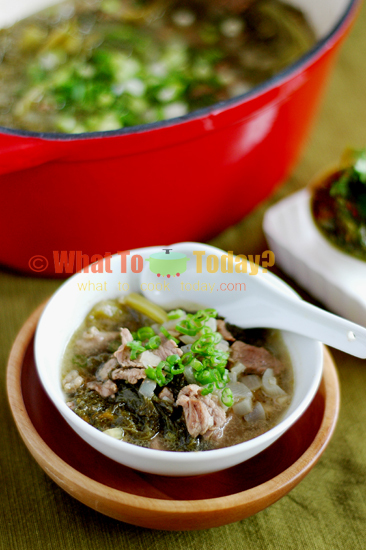 Its cooking has lots of influence from Thailand and Cambodia. Luang Prabang is one of the large cities in Laos. Jeffrey Alford and Naomi Duguid shared that there’s a certain acid-bitter aroma and taste that appears in at least one dish per meal at Luang Prabang and is strangely appetizing. So, after I read that I kinda wondered how the dish would be like. The only way to find out was to cook it, wasn’t it ? 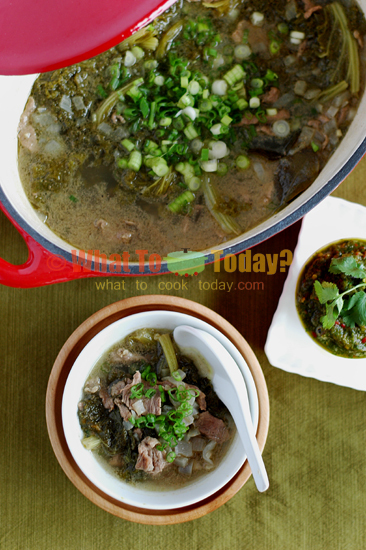 This Luang Prabang pork stew with bitter greens are quite simple to make. 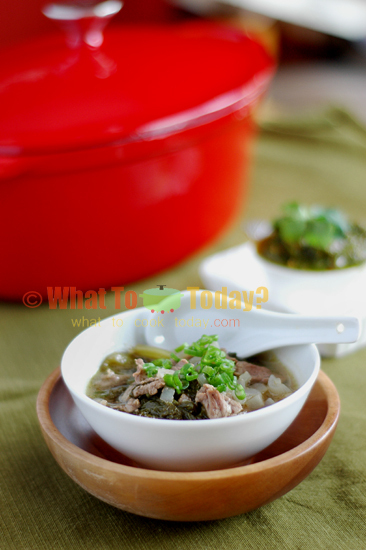 The depth of the flavor of this stew comes from the herbs like dill and greens and also kaffir lime leaves. When the dish was done I gave it a taste and at first I thought “geez..I don’t think hubby is going to like this” I mean it’s slightly bitter from the greens and it tasted kinda strange. He ate it and liked it. The stew was strangely addicting to us too. I made a Lao Salsa to go with it and it amplified everything to the next level, at least to us.